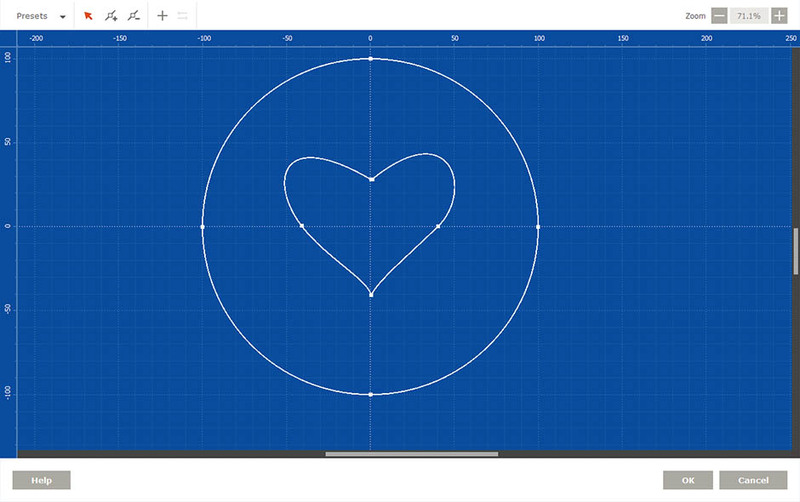 You can load your own curves by clicking Presets->Open... in the editor menu, or by simply dragging an SVG file into the editor. Yes, it does. Depending on the shape you may reverse all the paths or just some of them and finally get a properly extruded shape. 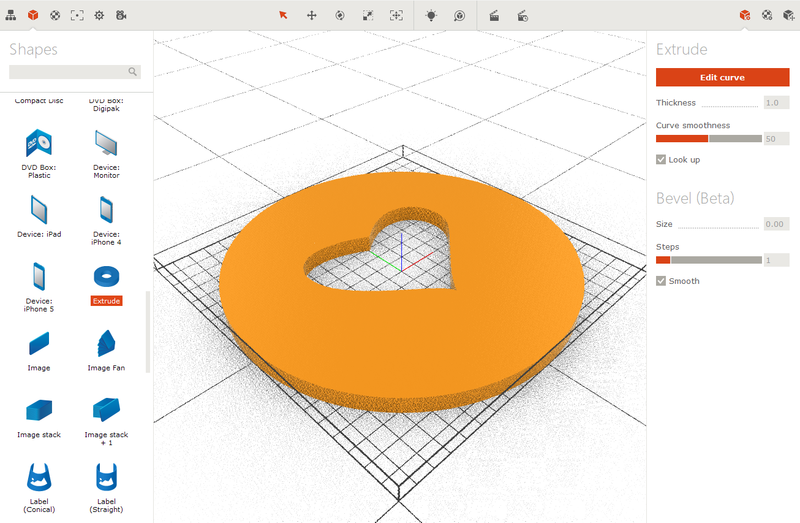 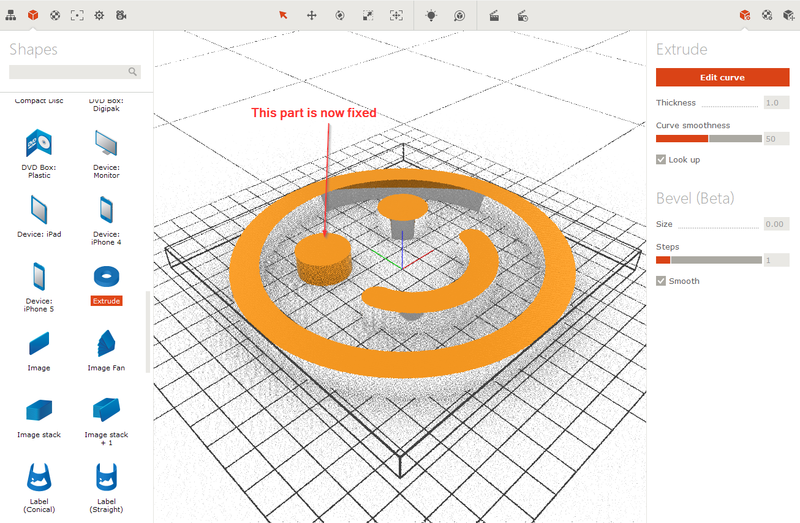 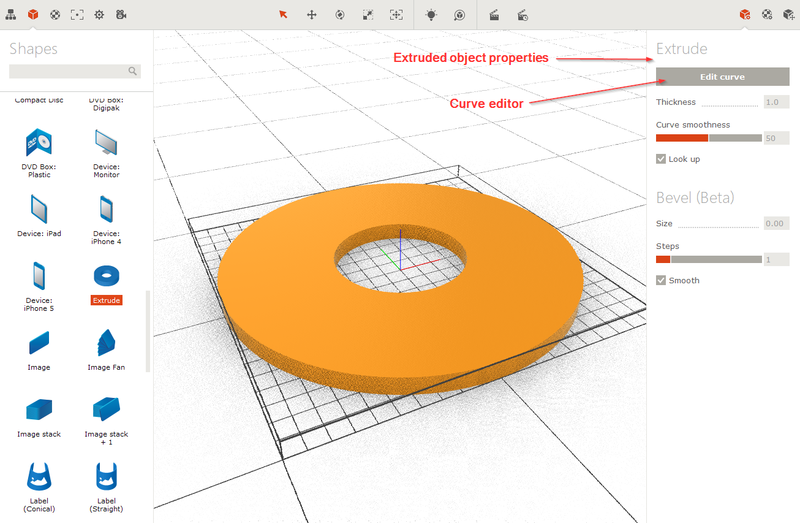 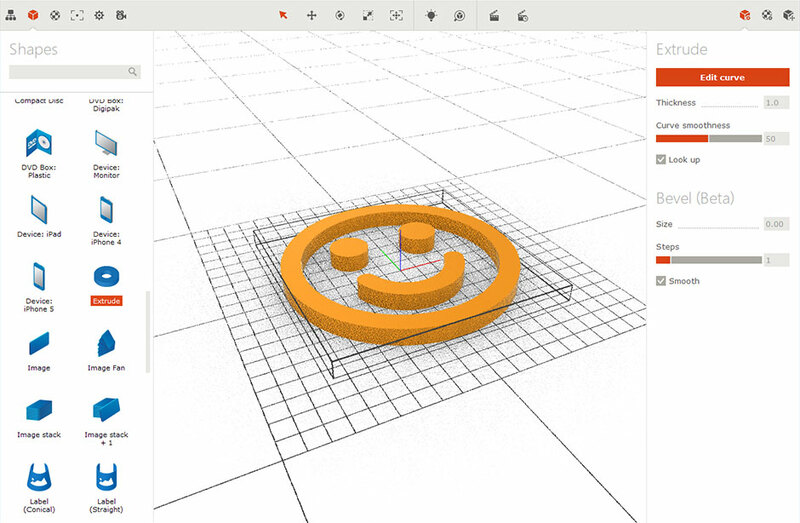 Exactly as with 3D text objects, Boxshot lets you specify three materials for front, side and back parts of extruded shape. If you need more styles for different parts, consider splitting the shape into several objects and styling them up separately. 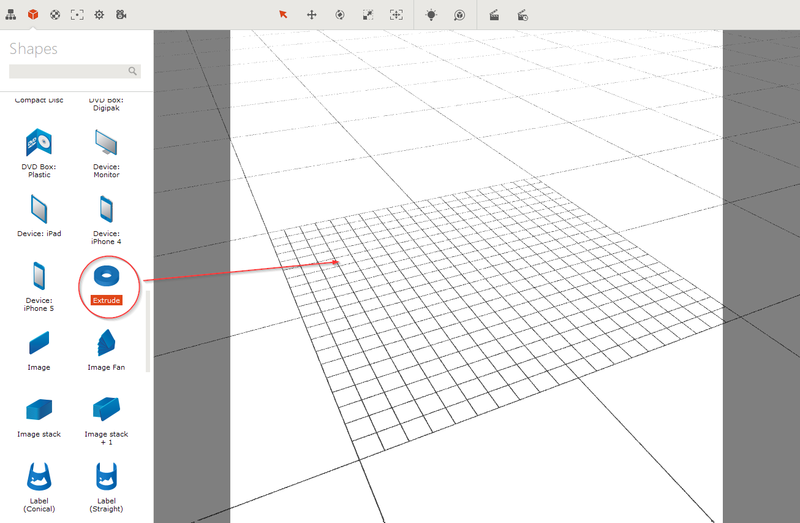 Boxshot applies planar bounding-box aligned mapping to front and back of the shape. Note that back mapping is exactly the same as the front one, so it looks flipped, but lets you easily align the artwork to the back geometry. 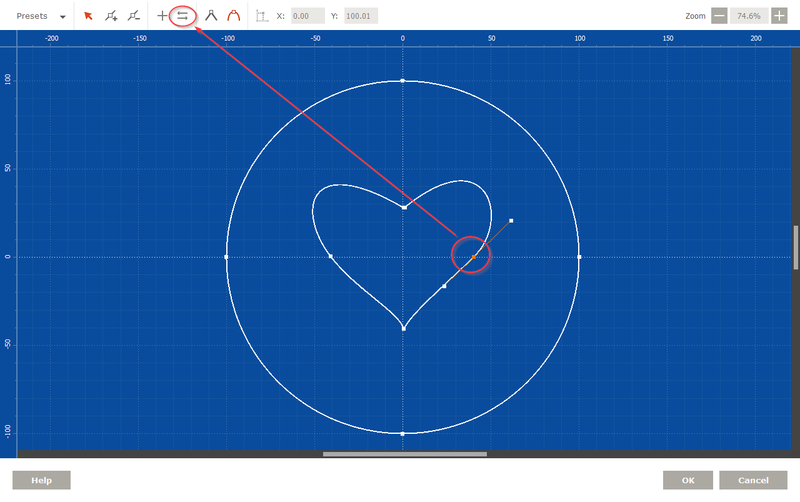 Side mapping runs along the curves of the shape with its U coordinate, while V coordinate goes from zero at the back side to 1 at the front. You can always change that using UV-mapping override block in the materials editor at the right panel. 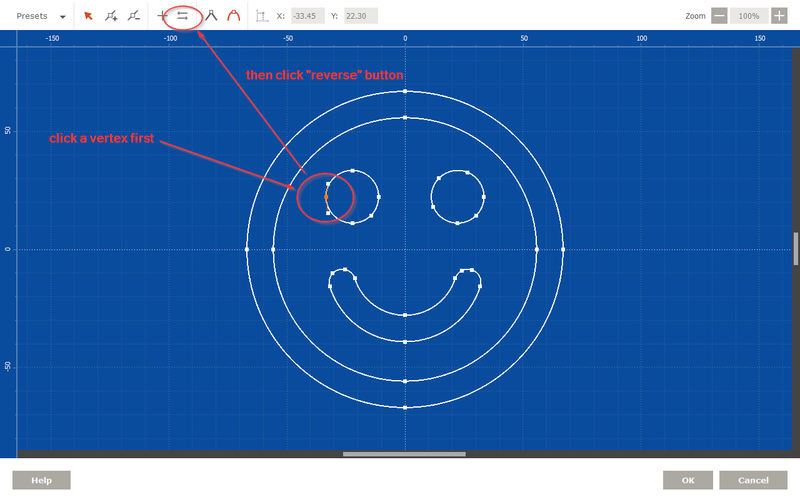 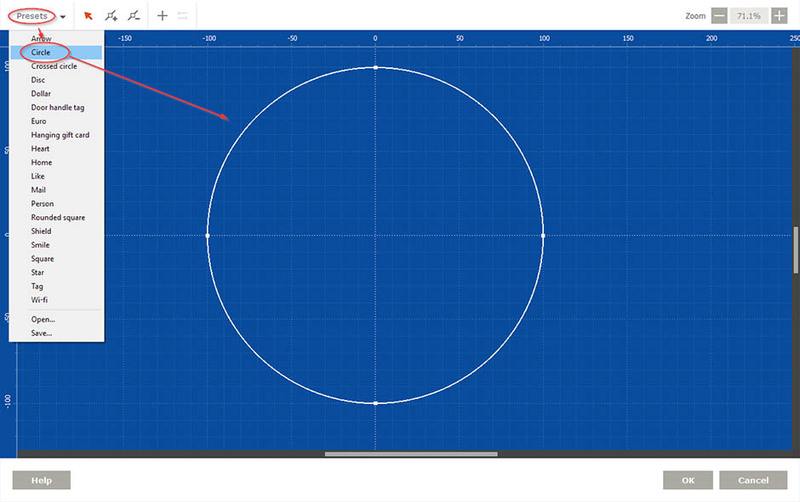 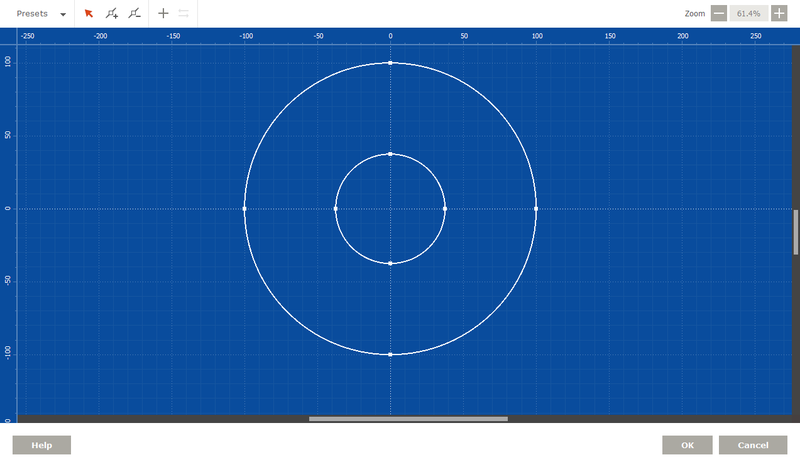 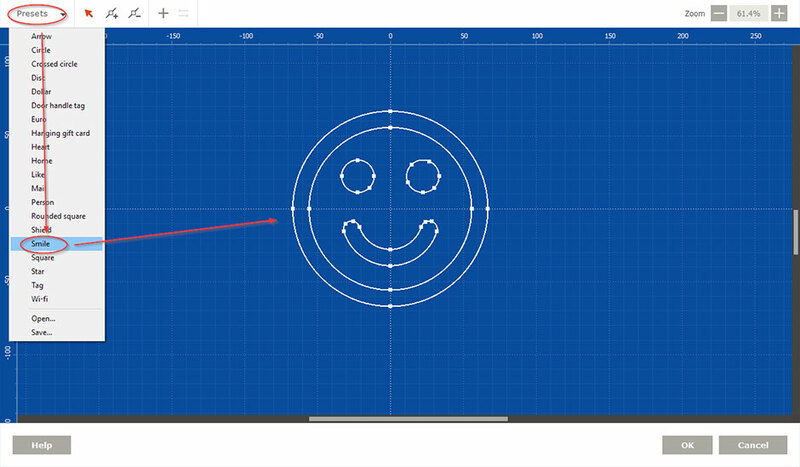 See Lathe Tutorial for more details on curve editing, adding extra points and configuring them.